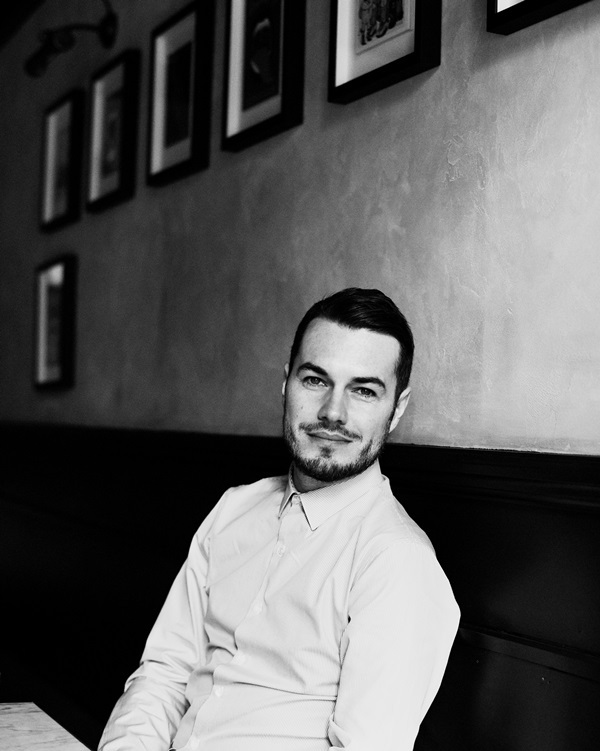 Brand new Master of Wine Mark Andrew is co-founder of Noble Rot magazine and the wine bar/restaurant of the same name. The magazine was launched in early 2013 as an alternative to traditional wine media, and is now distributed in over twenty countries around the world. The wine bar/restaurant followed in 2015 and won 'Best Wine List' at the National Restaurant Awards and Harden's Awards within a year of opening. Before launching Noble Rot, Mark was Head Buyer at London-based retailer and importer Roberson Wine for eight years, where he developed deep affection for the traditional, artisanal, terroir-driven wines of the world. Before that, there was a vintage in Burgundy and three years of running the wine program for a group of London restaurants to whet his appetite for working in the wine industry. His Research Paper discussed the topic of ''How can dry Assyrtiko from Santorini establish itself as a recognised 'fine wine' in the eyes of London's premium on-trade?''. Mark Andrew MW is a big supporter of Greek wines and in the following interview to Yiannis talks and shares his passion about Greek varieties and Greek wines. Y: How did you start your journey with Greek wine? M: I started the journey with Assyrtiko, believing that, on-paper, Santorini was something special and also that the grape variety was very interesting as well. As I was tasting and drinking more and more wines, I saw that both these things are true. Assyrtiko is, in my opinion, perhaps the most underrated variety in the world, I honestly believe that: the level of extract, the combination of acidity and sugar development and the texture it can provide, is simply out of this world. And the extra level that Santorini brings, an additional energy and the punch in the wine, makes the wines from Santorini really stand-out among other Assyrtikos. Just like drinking and comparing Burgundy with other Pinot Noir producing regions. Y. What was the moment when it clicked and your love for Greek wine commenced? Y: What are your objections regarding the wines of Nemea? M: When you look how exceptional the georgraphy of the place is, the different mesoclimates relating mostly to altitude, it really frustrates me how the variety is expressed. There a couple of people that ‘get it’ but most of them are missing the basic ideas about oak handling, extraction and fruit quality. So, at that stage I thought Greek wine is definitely interesting, as demonstrated by Santorini and Naoussa, but that it wasn’t all roses in the garden. So, I decided to investigate further through extensive tasting and reading blogs like yours. It was hard for a couple of years as only a couple of importers were bringing Greek wines to the UK, but that has started to change. Y: What were your impressions after judging recently in Thessaloniki? M: I have to say that Assyrtikos and Xinomavros were spot on, Agiorgitikos as I explained were usually bland and the Syrah flight reinforced my belief and made my approach even stronger that we will never work with international varieties from Greece in Noble Rot. There are so many incredible indigenous varieties in the Greek vineyard that are made with a delicate approach in terms of winemaking. The end result is beautifully terroir driven wines that make Chardonnay, Syrah and Merlot the enemies of the message that Greece should be trying to send. There are very few countries in the world blessed with genuinely exciting varieties like Greece; grapes that have the chance to present such greatness to the world and people should scramble to get their hands in these unique bottles. I know that certain Xinomavros will be high in terms of price in 5-10 years, like Assyrtiko is starting to get now, but I feel we are responsible for spreading this message about the uniqueness of Greek varieties and of some of the best terroirs in the world. Y: Is there another terroir that you feel strongly about? M: Absolutely Yiannis and this is Rapsani. Why? For few reasons. First are the indigenous varieties, like Xinomavro, which are dominant there. Second, we are talking about beautiful slope vineyards and terroirs. Third is old vines that mean some people will be able to produce very serious wines. And last but not least, if someone produces real world class wine you also have an incredible marketing message! Who wouldn’t want to drink wine made on Mt Olympus?! Y: Is there a missing link for an even stronger message? M: As someone who is actively seeking out Greek wines, selling and promoting them, there is a shortage of small artisanal boutique wineries focusing on indigenous varieties when compared to France, Italy and Spain. For me, that is the main issue. When I look at Santorini it is 2-3 wineries, in Naoussa 4-5. We need more! Y: You recently made the list of the most influential people in the on-trade, hitting #14 according to Harpers together with your business partner Dan Keeling. How does it feel? M: Every time you get an individual award, if you don't look around you and understand what is that got you there then you are a fool and there will not be many more awards coming if you don't appreciate and understand this. I have to say that I have an amazing business partner, Dan, with whom despite being very similar and yet different at the same time, we believe the same things and we complement each other very well. I really don't envy people who are in business on their own!